The 2018 BMW i3 all-electric premium compact hatchback receives a mild facelift and introduces a sportier version, the i3s. The BMW i3 is a cool car. It's not a $50,000 car. The 2015 BMW i3 hatchback is the first purpose-built electric vehicle (EV) from the legendary Bavarian automaker, and it's like no BMW we've ever seen. Sure, it has the trademark twin kidney grilles up front, but otherwise, the aggressively quirky i3 looks like an alien next to the company's conventional sedans and SUVs. That makes sense, though, when you think about it: The i3 isn't about maintaining the status quo; it's about showing that BMW can be an innovator in the EV segment. With its avant-garde styling and available Range Extender gas engine (yielding an estimated 150 miles of range), the i3 certainly breaks with tradition. We think it's one of the most compelling EVs on the road today. 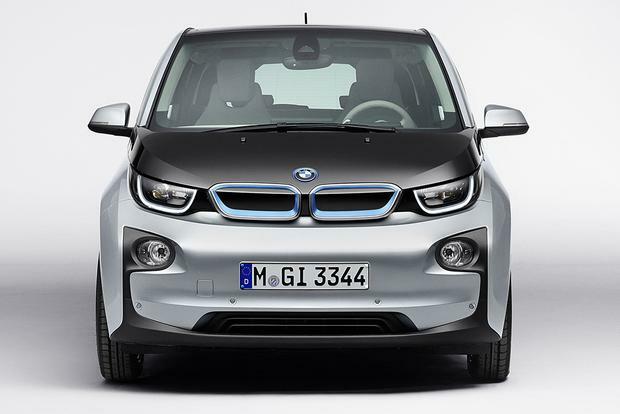 The i3's standard equipment now includes satellite radio, heated front seats and DC fast charging. The rear-wheel-drive BMW i3 comes with an electric motor powered by a 22-kilowatt-hour (kWh) lithium-ion battery pack. The motor's output is rated at 170 horsepower and 184 lb-ft of torque. 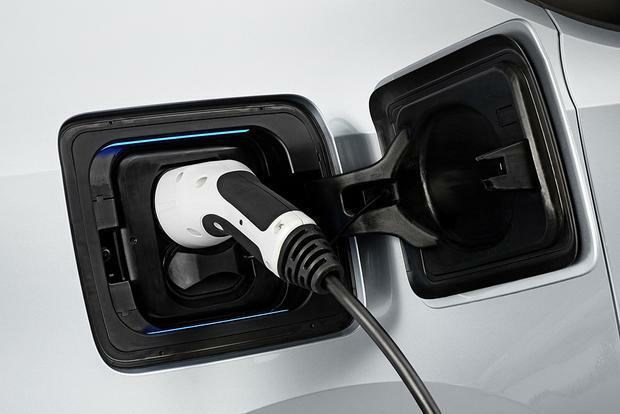 The Range Extender model adds a 0.6-liter 2-cylinder gasoline engine rated at 38 hp and 41 lb-ft that serves as a backup energy source for the electric motor. To fully recharge the battery pack, you can use an ordinary household outlet (20 hours) or a special 240-volt outlet (4 hours). There's also a standard DC fast charger that facilitates a full charge in just 30 minutes at compatible charging stations. According to the Environmental Protection Agency (EPA), the standard i3 provides 81 miles of driving range on a full charge. The Range Extender model's total driving range increases to 150 miles, but its gasoline engine adds roughly 330 pounds to the i3's curb weight, slightly dropping battery-powered range to 72 miles. EPA also has a special efficiency metric for electric vehicles: miles per gallon gasoline equivalent (mpge). According to this measurement, one gallon of gas is equivalent to 33.7 kWh of energy. The base i3 is estimated to consume 27 kWh per 100 miles, which translates to a rating of 124 mpge, whereas the Range Extender consumes 29 kWh/100 miles for a rating of 117 mpge. For context, the 2015 Chevrolet Volt is rated at 98 mpge, though its range of 380 miles dwarfs the i3's maximum. 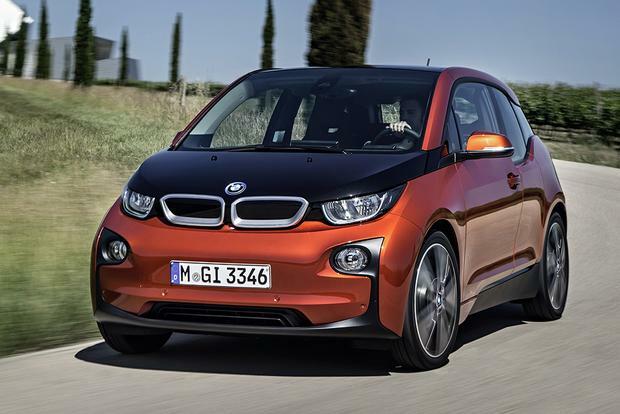 The BMW i3 is a 4-seat hatchback that comes in two trim levels: base ($43,350) and Range Extender ($47,200). Each is offered in Mega World, Giga World and Tera World subtrims. The Mega World is equipped with such features as 19-inch alloy wheels, LED headlights and taillights, rear parking sensors, an onboard DC charger, heated front seats, automatic climate control, recycled-cloth interior trim, a leather-wrapped steering wheel, Bluetooth phone connectivity and BMW's iDrive infotainment system with a 6.5-in display, a navigation system, a USB port, HD Radio and satellite radio. The Giga World adds different 19-in wheels, a sunroof, keyless entry and ignition, leather and wool interior trim and a universal garage door opener. The Tera World throws in its own 19-in wheels and a full-leather interior with textile accents. Optional on all models are the Technology and Driving Assistant packages, which consist of an upgraded widescreen iDrive system with a touchpad interface, Bluetooth audio and USB connectivity, adaptive cruise control and a forward-collision mitigation system. You can also specify the Parking Assist package, which features a rearview camera, front parking sensors and a self-parking system. Additional options include 20-in wheels and a Harman Kardon audio system. Rear passengers in the i3 will enjoy surprisingly generous accommodations for such a small car; there's both adequate legroom and copious headroom. Access isn't straightforward, however. The backward-hinged clamshell rear doors can't open unless the front doors have been opened first, which is particularly inconvenient if another car is parked alongside. Cargo space in the i3 measures 15.1 cu ft. behind the rear seatbacks and 36.8 cu ft. with those seatbacks folded down. That's not bad for a compact hatchback, but the Volkswagen e-Golf, for example, gives you significantly more room. 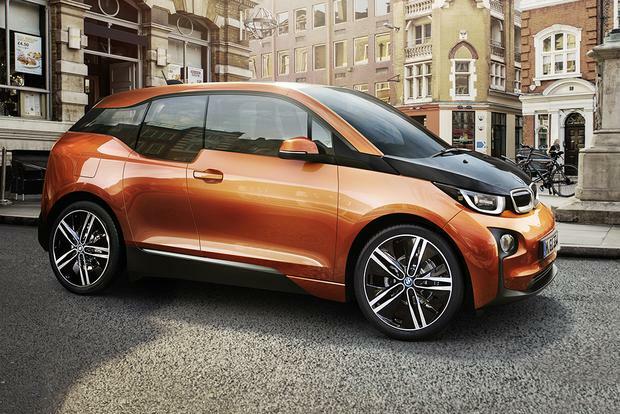 The 2015 i3 comes with stability control, 4-wheel anti-lock disc brakes and six airbags (front, front-side and full-length side-curtain). Available high-tech safety features include a rearview camera, adaptive cruise control and a forward-collision mitigation system with automatic braking. 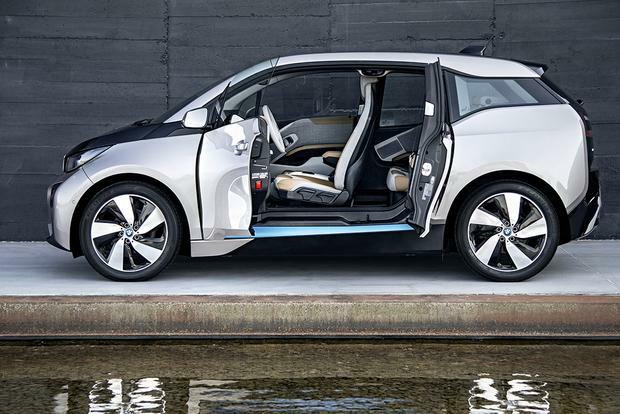 In our interior evaluation, we found the i3 to be unlike any other car on the market. Vehicle information is provided by twin high-resolution display screens (one behind the steering wheel and one in the center of the dash), and the absence of a transmission tunnel between the seats gives you room to play footsie with your front passenger, if you like. 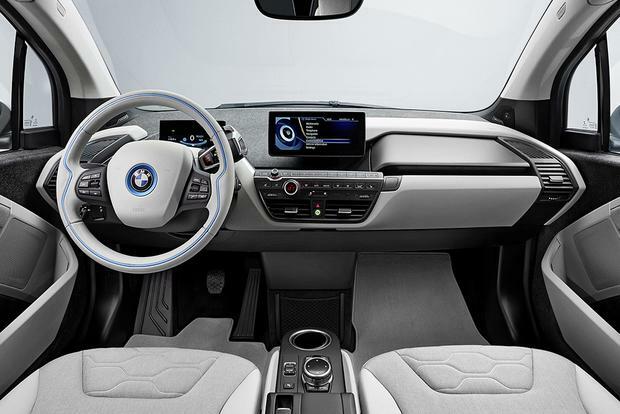 Every i3 comes with a distinctive combination of interior materials, and while not every theme will meet with universal approval, there's not a dull one in the lot. Despite all the high-tech gizmos, most of the i3's functions are rather easy to learn and use, aided by BMW's much-improved iDrive interface with available touchpad functionality. On the road, the i3 is a hoot, serving up ample electric thrust that'll get you to 60 miles per hour in about 6.5 seconds if you keep your foot on it. Truth be told, the car feels even quicker than that around town because there's no waiting for the motor to hit its stride; the full 184 lb-ft of torque is always ready to rock. That responsiveness is par for the course in an EV, though. 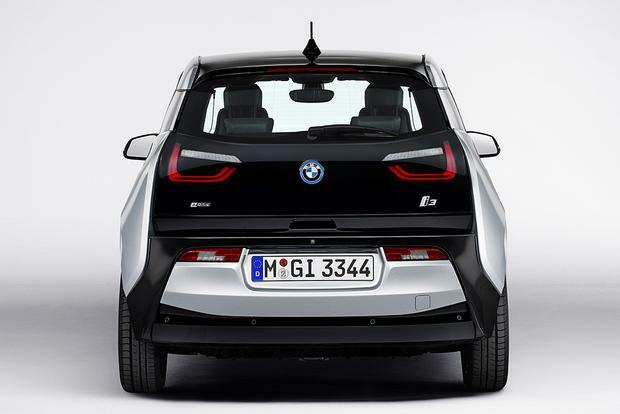 What is less expected is the i3's exemplary handling, which comes courtesy of a nearly 50-50 front-rear weight distribution and BMW's expertise in rear-wheel-drive dynamics. If you want an EV that engages the driver for less than half the price of a Tesla Model S, the i3 is the one to have. Happily, it's also supple and quiet in normal driving, making for an unmistakably luxurious experience. 2015 Chevrolet Volt -- The innovative Volt is undoubtedly the most versatile vehicle on this list thanks to its true plug-in-hybrid status, which lets it function like a regular gasoline-powered hybrid for extended trips. Its electric-only range is comparatively modest, however. 2014 Mercedes-Benz B-Class Electric Drive -- The B-Class EV offers quick acceleration and a relatively spacious interior, though its bland styling is the opposite of the BMW's fashion-forward approach. 2015 Volkswagen e-Golf -- VW's electrified 4-door Golf has about the same range as the standard i3, and it also has a handier back seat and more cargo space for less coin. Used Tesla Roadster -- Tesla's Lotus-derived EV sports car has held its value pretty well, but if you're in a position to spend more for something special, the Roadster gives you an astounding 245-mile range and unparalleled fun. The 2015 BMW i3 may not be the best value out there, but its blend of style, performance and features makes it uniquely appealing in today's EV landscape.